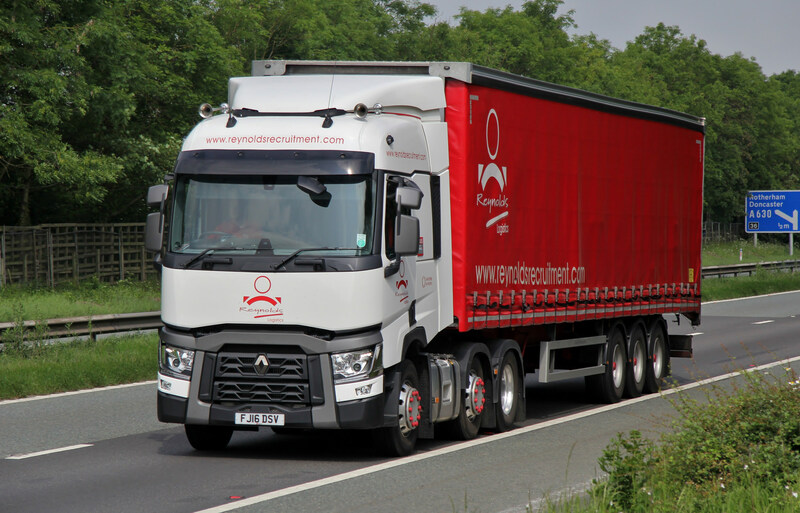 Here at Reynolds, we have invested significantly with 16 brand-new Renault trucks, as part of a large expansion and upgrading programme. Reynolds have been providing recruitment, logistics and training solutions to blue chip organisations and SMES across the UK and Europe, for more than 30 years. The business, which employs 140 staff, wanted to provide more comfortable facilities for its drivers and improve their welfare during long-haul journeys, while expanding its fleet of over 70 to ensure increased customer demand was met efficiently. Reynolds, worked closely with East Midlands Renault trucks dealer, RH Commercial Vehicles, which has its head office based on Lenton Road in Nottingham. Having purchased from them for three years, the dealer has been pivotal in providing a reliable trucking solution for Reynolds’s business growth. 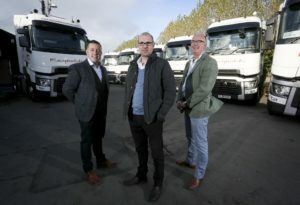 Rod Harris, Director at Reynolds Recruitment, said: “Having acquired a significant new customer, we needed to invest in a number of new trucks to meet this demand but we were also aware that the welfare of our drivers is just as important, so we wanted better facilities and modern vehicles”. The deal with Reynolds Recruitment follows a successful year for RH Commercial Vehicles. As well as winning a hat-trick of awards including Dealer of the Year at the annual Renault Trucks Dealer Awards for a second year running, RHCV expanded its business along the M1 corridor, acquiring a fourth site in Northampton. RHCV has been selling, leasing servicing and repairing heavy (HGV) and light commercial (LCV) vehicles across the East Midlands for four decades. The company employs 110 staff across its four sites in the East Midlands – in Nottingham, Cossington, Northampton and Alfreton (Derby). We look forward to working with all the team at RHCV in the future!